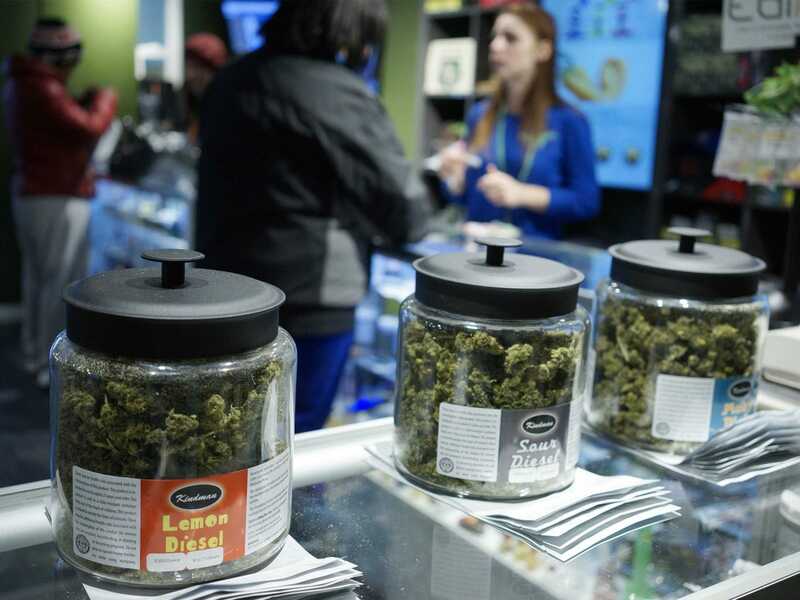 The Associated Press is reporting that regulated pot sales in Washington are topping $1.4 million a day and tax revenue is above $70 million for the year. With all that money floating around, it’s not too surprising that the powers that be want to re-shake the tax structure. When the state of Washington overhauled its recreational marijuana tax, it actually consolidated three different taxes into one flat 37 percent tax, which means the government is actually making less money off legal weed in Washington. In the original framework, three separate taxes — a 25 percent tax on the creator, a 25 percent tax on the processor, and a 25 percent tax on the seller– were making it harder for the legal marijuana market in Washington to compete with the illegal market. To earn a profit, dispensaries would charger their customers the 25 percent tax. Under the new framework, which went into effect on Wednesday, stores won’t be forced to report an excise tax (which operates like a sales tax) as income. While most lawmakers believe the new tax system will lower prices of weed in the legal market, nobody is sure exactly how the market will react. It’s also worth noting that recreational marijuana taxes in other states where weed is legal are lower. For example in Oregon, which just legalized recreational marijuana, the statewide tax for recreational marijuana is set to be just 17 percent. Washington Governor Jay Inslee signed H.B. 2136 on June 30th. The bill also includes looser zoning regulations around weed shops. How Many of Your Snapchats Get Seen By the Government? How Convenient Is A Drive-Thru Pot Shop?